You will notice that when you take the RESAR Online Quiz again, the questions will be shuffled. This ensures that you are truly learning and reviewing, and not simply memorizing the sequence of answers. You will also see a “Review Feedback” button. There are times when members of the RESAR Online Review post questions about certain quiz answers. In such cases, we edit the online quiz so that you can see the explanation behind the chosen answer. For example, if the answer to a quiz question is “None of the Above”, and if the RESAR Online Review member asked: “So, what’s the correct answer?”, then we provide the actual answer which you will see when you click on the “Review Feedback” button. In other cases, the “Review Feedback” button will show you a link that leads to a webpage where you will find an online discussion pertaining to that particular online quiz question. When you try the online quiz demo, you’ll find a question about what is the minimum carriageway of major roads of socialized housing projects. When you review your online quiz answers and you reach that question, the “Review Feedback” button will show you a link that leads to a webpage used as a basis for the answer. With the RESAR Online Review Online Quizzes, you are not simply going through a list of questions and multiple choice answers. You also have the opportunity to see the basis for the answers, or read (and even participate in) the online discussion with your fellow RESAR Online Review members. The result: You learn faster and retain the information longer. This helps you improve your chances of scoring higher in the real estate brokers’ exam. Those Comprehensive Real Estate Seminar and Review or CRESAR sessions require an investment of your money, and more importantly, your TIME. That’s why you need every tool and advantage you can get, to help you achieve your real estate career goals and dreams faster. Click here to see a Demo Online Quiz (this opens in a new window). Please give the quiz around 30 seconds to fully load (load time depends on your internet broadband connection). [From the RESAR Admin] Hello! Please enter your Name and Email in the sign-up forms in this website to get info/updates. Thanks! [From the Admin] Hi! The CRESAR that we know about will be held in Makati City, Metro Manila. Perhaps the organization of brokers in your area will know if there will be a Laguna-based CRESAR? The PRC posted in their website that the REB Exam will be on March 18, 2012. Thanks! on 31 Oct 2011 at 6:50 pm 3 Engr. John T.
I passed the recent board exam for the Real Estate Appraiser. Can I still use the CPE I’ve earned during the Appraisers Seminar in the forthcoming board exam for the Real Estate Broker? Thanks a lot. [From the Admin] Hello! It would be better if you get in touch directly with the PRC, because the topics covered in the CRESAR for Real Estate Brokers are different from the CRESAR or CREASAT for Real Estate Appraisers. Thanks! Is there any reviewer books available in the bookstore? [From the Admin] Hi! We saw a Real Estate Review in National Bookstore, but it was quite old. Please check the Law books on real estate-related taxation topics. Thanks! hi po..when is the next schedule po of PRC board exam? also, when is your schedule for the 120 hours of required training? [From the Admin] Hello! We haven’t seen the official PRC announcement regarding the next Real Estate Brokers’ Licensure Examinations. Please join the RESAR Online Review Announcement List so that you can get updates via email. We will also announce through email the schedule of the 120 units of real estate subjects offered by review service providers as soon as they finalize their schedules. kailan ang next appraiser exam? i am just a business administration grad. pwede po ba ako mag exam? mag kano ang review fee sa inyo? [From the Admin] We haven’t seen any announcement from the PRC regarding the next Real Estate Appraisers’ Licensure Examinations. 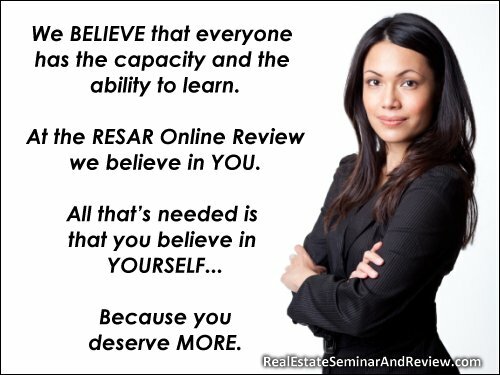 Yes, you may take the RE Appraisers Exam provided you have earned 120 units in real estate subjects. Some people earn the required units by attending a 120-hour Real Estate Appraisers Exam Review Seminar and Training. In the past, a 120-unit CREASAT cost around P20,000. Thanks! What are the prerequisites in taking an REB examination? Can any one who holds a degree in any discipline take the REB examination? Please let me know what these disciplines (courses) are. [From the Admin] Hello! You need to have a college degree (there’s no college course yet called Real Estate Service or Real Estate Management). You’ll also need to earn 120 units in real estate subjects. Some people earn those 120 units by enrolling in a 120-hour Comprehensive Real Estate Seminar and Review or CRESAR. Thanks! cost + profit = S.P. x = P1,500,000.00 –> this is the seller’s cost. I think the best answer is the one that is stated in Section “expropriation” which is more likely appropriate or closest to the question than “accretion”. [From the Admin] We completely agree with you. May we know what your CRESAR service provider recommends? Thanks! Can I avail of the online review? Its barely 12 days to go before the exams. [From the Admin] Yes, you may avail of the online review anytime you wish. In fact, some people joined today (March 17). Thanks! [From the Admin] Hello and thanks for asking! The P1,365,000 was our initial answer also. We also raised that point in past CRESARs when it was revealed that the actual answer was P1.5 million. Perhaps, just like you, we remember those business math courses in college which talk about a Gross Profit Rate, which is equivalent to Gross Profit divided by Sales (where Gross Profit = Sales – Cost). If the Gross Profit Rate were equal to 30%, and the Selling Price were P1,950,000 then yes, the cost of the property should be P1,365,000 (or 70% x P1,950,000). But here’s the thing: The quiz question does not deal with Gross Profit Rate. That’s not Gross Profit Rate (GPR), because GPR is gross profit over sales. Yes, we do know that a 30% gross profit technically means a GPR of 30% (or a 30% gross profit over sales), but based on the actual answer given in that past REB exam, it’s clear that the person who originally formulated that question and answer was not thinking about GPR. Hopefully in the future, REB exam questions will be better worded. From the above we can see that the Gross Profit is 30% of the Cost, which means Sales is 130% of the Cost, because Sales minus Cost equals Gross Profit. Since Sales is 130% of the Cost, and we are asked to compute for the Cost, let’s divide Sales (P1,950,000) by 130% (or 1.3) and we get a Cost of P1,500,000. We do understand where you’re coming from, though, because back in school, we have always been taught about Gross Profit and Gross Profit Rate. That’s why we tend to automatically divide Gross Profit over Sales. When you review with your CRESAR service providers who will also give you sample quizzes, please take note that some of these questions were crafted in the past by people who did not strictly follow the usual treatment of Gross Profit and Gross Profit Rate. With that in mind, please read each mathematical or computational question carefully, and look at it from different angles. Assume that the person who crafted the question will not always follow what was taught in Business Math before in college. clarify q lang re no. 1 d po b 50yrs lang po un? [From the Admin] Hello! Are you using Internet Explorer or Firefox? I would like to clear the answer in quiz demo #16 The following modes of acquiring land under Urban Development and Housing Act of 1992, except: the answer is expropriation, but accretion is not given under Sec. 10 of UDHA of 1992. It only states, Provided, however, That expropriation shall be resorted to only when other models of acquisition have been exhausted: Provided, further, That where expropriation is resorted to, parcels of land owned by small property owners shall be exempted for purposes of this Act. Even in Sec. 9 for the priorities in the acquisition of land, accretion is not stated their. As defined, ACCRETION is the act by which a land bordering a stream of body of water increases its area by the gradual deposit of soil of the river or other natural processes caused by the current. Sec. 10 Modes of Land Acquisition – The modes of acquiring lands for the purposes of this Act shall include, among others, community mortgage, land swapping , land assembly or consolidation , land banking donation to the Government, joint-venture agreement, negotiated purchase and expropriation: Provided, however, That expropriation shall be resorted to only when other modes of acquisition have been exhausted. Provided, further, That where expropriations is resorted to, parcels of land owned by small property owners shall be exempted for purpose of this Act: Provided , finally, That abandoned property , as herein defined , shall be reverted and escheated to the State in a proceeding analogous to the procedures laid downs in Rule 91 of the Rules of Court. Some have argued that the phrase “among others” can include accretion. Others have also said that the part which says: “where expropriations is resorted to, parcels of land owned by small property owners shall be exempted for purpose of this Act” means you can’t expropriate the land of small property owners for UDHA purposes. While even others have reasonably pointed out the “expropriation” is listed among the modes of acquisition. And still others have countered that the phrase “provided, however…” qualifies what kind of expropriation will be considered a mode of acquisition. Perhaps that’s why some of the recommended answers of past quizzes chose “Expropriation” as the mode to exclude. We suggest you take this up with your CRESAR service providers and see which answer (Accretion or Expropriation) they choose.